Nick Foles | NFL News, as it happens, when it happens. Your one stop shop. Imagine for a second that we lived in an alternative universe where every NFL coach would welcome HBO’s Hard Knocks series behind their closed curtains and give them all-access to the team’s daily ins and outs. 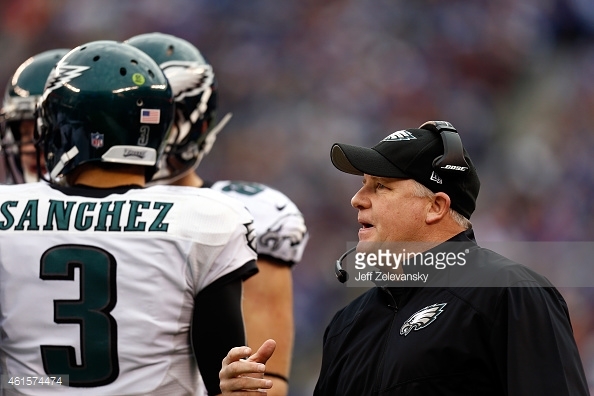 Now, in that world, is there a single team you want on Hard Knocks more than the 2015 Eagles? After having the most interesting offseason in years, the team has not one, but four interesting quarterbacks on their roster. The presumed starter, former Heisman-trophy winner Sam Bradford, who’s missed the last two seasons with injuries. 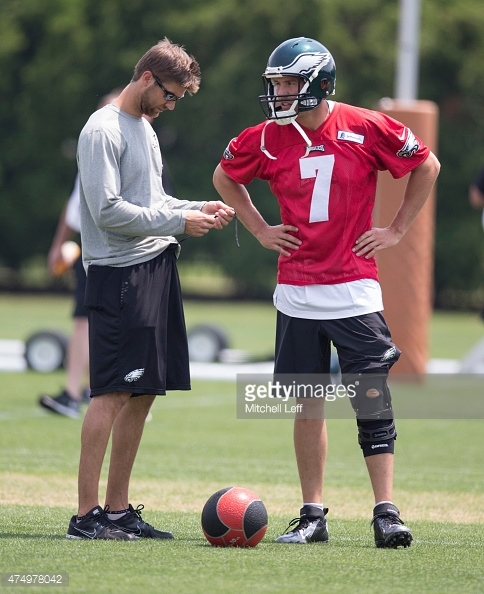 The likely backup (though possible starter), the beautiful Mark Sanchez, who had a once-promising career thrown down the toilet by Rex Ryan, then showed signs of rejuvenation when taking over for injured Nick Foles in Philly last season. Then you have Matt Barkley, who probably would’ve been the number one pick in the draft had he left USC after his junior year, but instead had a shaky senior year and plummeted to fourth round where he looks to never be a starting quarterback. And finally, you have one of the most pulverizing figures in the history of football: Tim Tebow. during a game at MetLife Stadium on December 28, 2014 in East Rutherford, New Jersey. The initial momentum for Tebow has all but died since his career went down the drain with the Jets. But two days ago, inquistir.com reported that Tebow could be at the heart of a quarterback controversy in Philadelphia. Seriously, you can read the story here: http://www.inquisitr.com/2273993/philadelphia-eagles-rumors-tim-tebow-could-be-poised-to-become-the-breakout-star-of-training-camp/ The article suggests that Tebow could not only beat out Barkley for the third string job, but may challenge for legitimate playing time. I was and am as big of a Tebow fan as any. I’ve always liked college football just a little more than the NFL, and Tebowmania in 2011 was the closest the NFL ever felt like to college for me. Whether you supported him or hated him, the one thing you have to admit about the 2011 Tim Tebow ride is this: it was fun. I also think that Chip Kelly was smart to sign Tebow, and I think Kelly is the most innovative mind in the NFL. But Chip Kelly didn’t sign Tim Tebow to be his starting quarterback. There’s a place for Tebow in this league, but it’s as a situational specialist. On 3rd and goal from the 3, I’d love to have a 6’3 bowling ball that has quarterback skills behind center. But using him as a short-yardage specialist is different than building your team around him. Bill Belichick has used guys because they do one thing really well all the time. Shane Vereen only caught passes out of the backfield. He uses guys like LeGarrette Blount and Jonas Gray against teams with a bad run defense (the Colts) and then locks them in a closet for the rest of the season. Chip Kelly is an offensive genius and can certainly find a place for a player of Tebow’s skill set in his system. Maybe Tebow’s improved. I hope he has, I’m rooting for him. But the only quarterback controversy in Philadelphia right now is whether or not Bradford can make it through the entire season healthy.